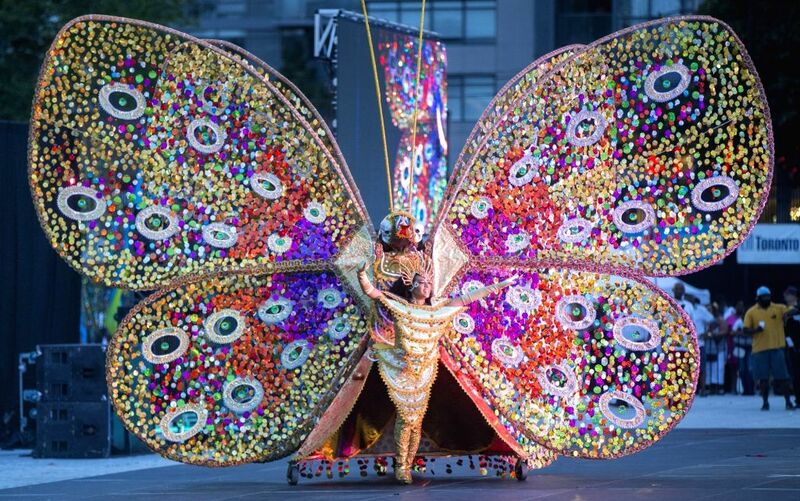 TORONTO, Aug. 3, 2018 - A dressed up competitor performs with her float during the King and Queen Competition of the 2018 Peeks Toronto Caribbean Carnival in Toronto, Canada, Aug. 2, 2018. 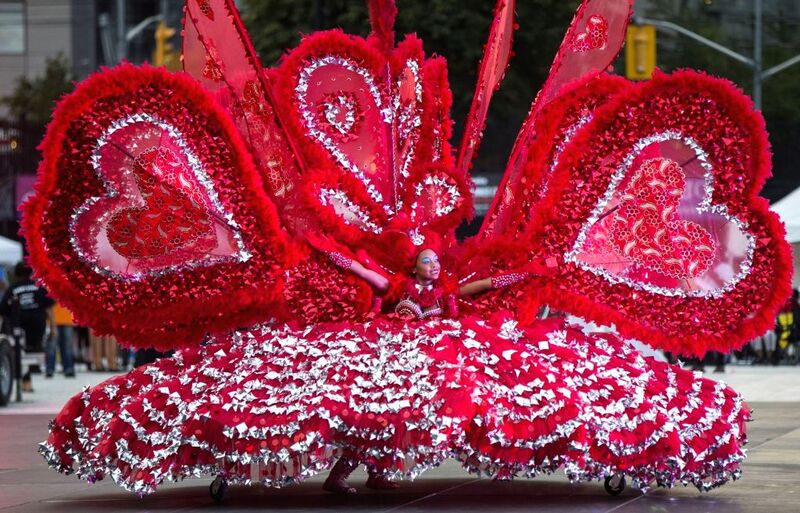 Dozens of talented masqueraders with their extravagant costumes took part in this annual event on Thursday to compete for the King and Queen of the Carnival. 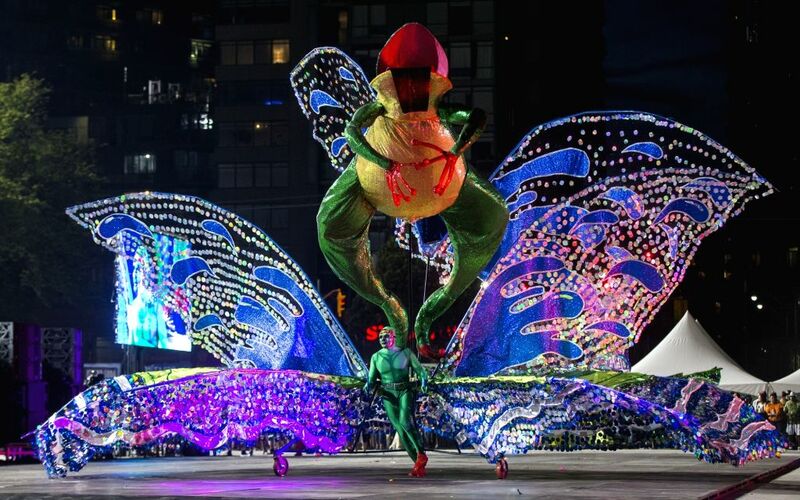 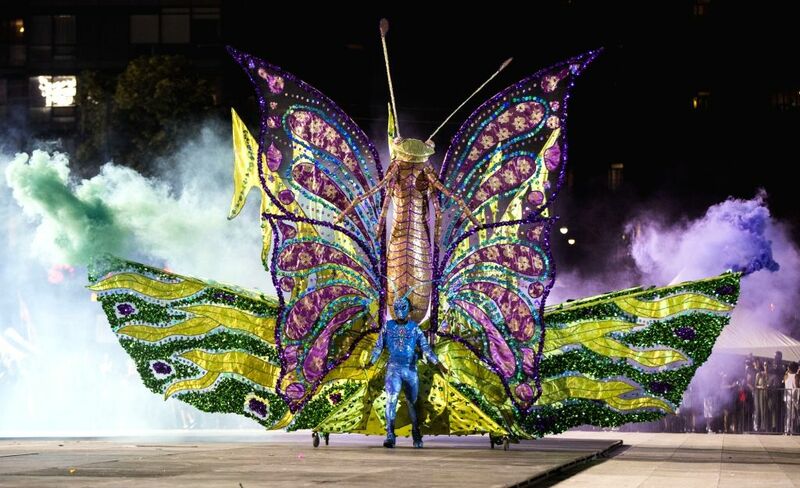 A dressed up competitor performs with his float during the King and Queen Competition of the 2018 Peeks Toronto Caribbean Carnival in Toronto, Canada, Aug. 2, 2018.